InMotion Hosting's Affiliate Program is a lucrative way for you to earn CASH just for recommending InMotion. Just sign up for an affiliate account, place a link or banner to us from your site, and for every sign up we receive, you earn money. It’s that simple. 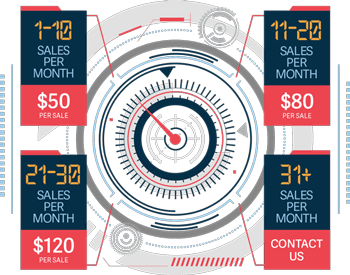 Generate up to $120 per sale! EXISTING AFFILIATES LOGIN | Questions, Comments? E-Mail Us. Register with the InMotion Hosting Affiliate Program. We use the popular Impact Radius platform to make this process as easy as possible for you. Select ads from a number of pre-qualified, high converting ad campaigns to place on your site. This process is made even easier by using our copy and paste code to place your ads. Whenever one of your referrals clicks through to InMotion Hosting's website and purchases a qualified product, you earn a commission! It's that easy. Why Join the InMotion Hosting Affiliate Program? Your success is our success. 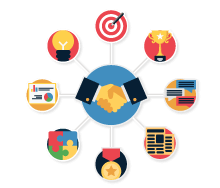 We care deeply about our relationship with all our affiliates, so we've invested in a number of tools and strategies to maximize your earning potential. InMotion Hosting is a quality company that cares about their customers and continues to provide outstanding services. This should be very important for any web hosting affiliate. I host my own website with IMH and proudly recommend them to my readers. For website owners, this means visitors will return to your site for any future web hosting advice. That equals to more money for you. We're the web host you can trust. Outstanding service, secure website transactions, and best business practices. We’ve been a top-rated CNET web hosting company for 14 years now. Ready to Earn Unlimited Commissions? InMotion Hosting has a strict policy against ‘Self-Sign Ups’ or attempts to earn commissions on your own hosting accounts. Please learn more about our affiliate program policies.